Mik has been working on a way to collect and store solar energy during the daytime so that it can be used after sunset to cook meals. He is looking for ideas to solve some of the technical issues that still remain, so if you have any ideas. Reflector from satellite dish heating the bundle of iron rods. 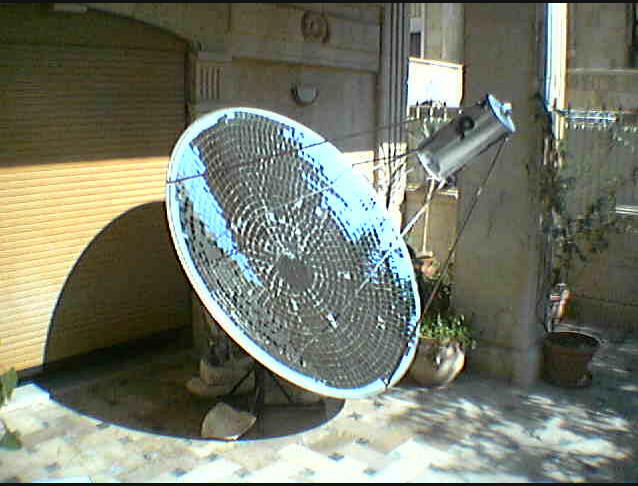 Mik's solar cooker uses a concentrating reflector to heat a bundle of iron rods to very high temperatures. Once the rods are heated, they are stored away in an insulated container to retain heat. Later in the day (after the sun has set), the stored heat is used for cooking. Diagram showing the design of the heat storage unit. While this is not the first solar collector to use stored heat, it is a very simple design that can be built fairly easily and cheaply in a low tech environment. It could potentially reduce the amount of fossil fuel use by allowing people to cook with solar at normal meal times without regard to whether the sun is present at that time or not. Mik has run into some material and insulation challenges in this project, and is looking for advice. There is a comment section at this link. I like it! It's simple and effective. This is the safest way I have seen to deal with parabolics that are capable of very high temperatures. The alternatives that could create superheated steam explosions or medieval boiling oil. 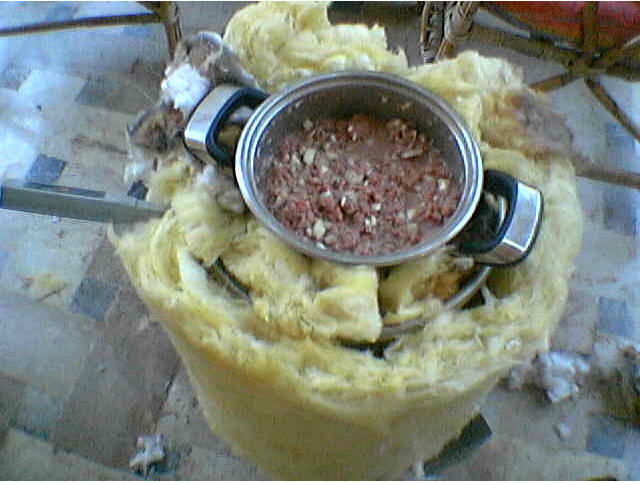 A simple way to deal with storage of the item may be a 'thermos concept of a stainless container within another container without insulation. Nice story. It makes to cogs turn.